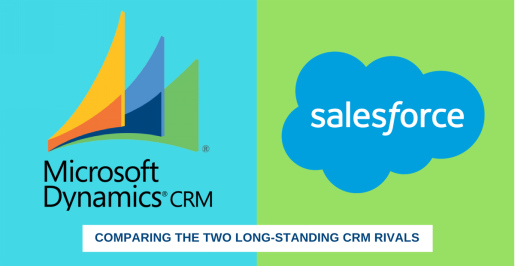 For decades, enterprises have relied on Microsoft Dynamics CRM to streamline customer acquisition and support various business processes. It is a robust, flexible and affordable customer relationship management (CRM) solution to drive consistent and measurable improvements to meet almost all of your sales, marketing, and customer service needs. If you’re an existing Dynamics CRM user, you would know it enhances user productivity by integrating with tools you are already familiar with such as Microsoft Office 365 and Outlook. One of the biggest advantages of using Microsoft Dynamics CRM is that it facilitates online and offline access to customer information through an extensive suite of sales, marketing and service solutions within an interface similar to Microsoft Office/Outlook. This interface ensures quick user adoption and improved results. In addition to that, Microsoft continually enhances Microsoft Dynamics CRM features to make the product more user-friendly. Users can easily customize areas specific to their requirements without having to be an expert programmer or IT pro. Some of the great features included in Microsoft Dynamics CRM are listed below. Cloud & On-Premise Hosting Options: In general, there are two deployment options: Microsoft Dynamics CRM Online or Microsoft Dynamics CRM On-Premise. CRM Online is a convenient cloud-based hosting solution. It has many business benefits including the ability to remotely access and edit files in real-time, a fixed monthly cost without requiring any infrastructure, and enhanced security protection. It eliminates the need to purchase hardware and licenses up front and manages your software updates automatically. On the contrary, CRM On-Premise requires you to set up your application and servers within your own environment. This enables total control over your data. There’s one more hosting option, Partner Hosted, which is essentially a CRM On-Premises running on a Microsoft partner’s server. 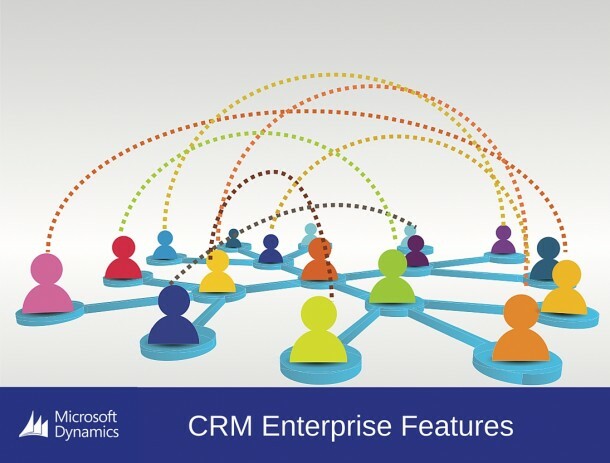 Integration with other Microsoft Products: Dynamics CRM features unmatched integration functions. It seamlessly integrates with all the major Microsoft products including Outlook, Office 365, and SharePoint. It additionally integrates with a multitude of other products such as Adobe Document Cloud that facilitates digital signatures, ProntoForms that enables offline mobile access, and account packages like Xero or Sage that provides a single view of customer data. Sales & Marketing: The easy to use interface and feature-rich modules of Dynamics CRM for sales, marketing, and customer service management allow your sales teams to access the software anytime, anywhere. The sales force automation shortens your sales lifecycles and enhances staff productivity and understanding of prospects and customers. This, in turn, increases your conversions. Moreover, the marketing automation module helps to simplify building the list of potential customers and leads, creating marketing campaigns for target audience, measuring campaign results, and developing follow-up marketing efforts. Community: Microsoft Dynamics CRM has an active application marketplace that helps to build your CRM into something that aptly suits your specific business needs. It has more than 5 million active users and Microsoft Gold Partners like Rishabh Software that provide strong community support to Dynamics CRM customers including latest information on system updates, troubleshooting, dedicated Dynamics CRM development services and more. Customer Service: As customer service is at the forefront of a CRM software’s core functionality, Dynamics CRM makes it easier to break down internal information silos quickly. It records all the interactions with existing and new customers, logs responses and issues in a centralized location, enabling your customer service team to keep up with the accounts and respond with the best possible solution to meet customer needs in real-time. Apart from the MS Dynamics CRM features listed above, the product is constantly updated with new features to enhance collaboration within your organization through integrations with popular communication and ERP software. 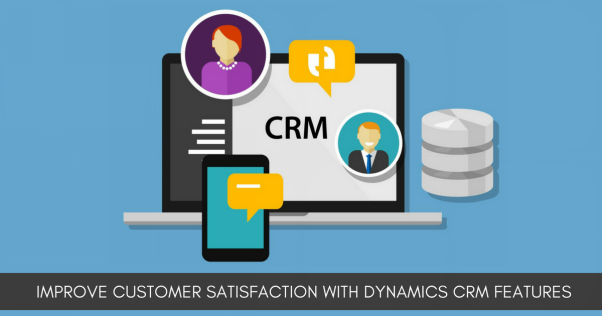 Are you looking to improve the customer satisfaction levels through Microsoft Dynamics CRM? Talk to our CRM experts to know what features you can use to make your CRM process more efficient.